It’s like the difference between reading a manual to install a toilet in your home and having the knowledge and skills to design one. It’s a reminder, not a warning. But the difference is huge. Have you ever tried to figure out exactly how a toilet works? To apply behavioral sciences to the people who work in your corporation is complex and challenging work. And to apply behavioral sciences to your consumers and the general public is even more serious. In fact, it’s harder than it looks. This is why it’s so important to hire someone with experience to guide the process, to apply the lens of behavioral sciences in a way that focuses on the most impactful means to solve the issue. Behavioral nudges can be a very powerful way to influence behavior. Nudges can assist us with decision making in a fast-flying digital ecosphere when our brains were built for emotional choices in an ancient world. Nudges are not just good, they’re necessary. However, they can be taken too far. I met a software engineer in San Francisco who was building the algorithms to nudge people to buy beer. In a sophisticated combination of big data and behavioral nudges, she was creating an environment where people who had no intention to buy beer would go to the store and make a purchase. She expressed unbridled delight in her own creativity which was, to some extent, well deserved. However, her nudge was completely subconscious and offered no conscious means out of it. Her methodology actually took choice out of the equation. Getting back to my metaphor, she could install the toilet but she wasn’t skilled at designing one. Back to Anurag. He and I talked about the behavioral sciences as the development of a discipline, not the johnny-come-lately of marketing tricksterism. 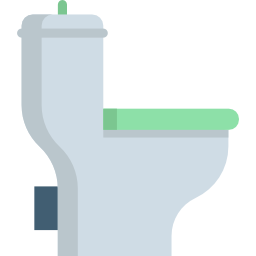 As my colleague James Heyman, PhD often says, the behavioral sciences are more than just “stump the chump.” However, without careful application, a solution could end up looking like a slight-of-hand show and your toilet design may not properly flush.